Hey Guys! Nat here. 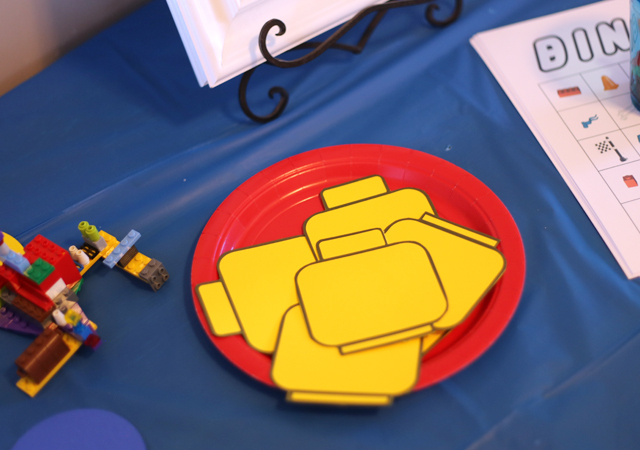 I’m so excited to share the details of my little guy’s Lego birthday party from last month! He is such a big fan of the cute little bricks so naturally a Lego themed party was perfect. 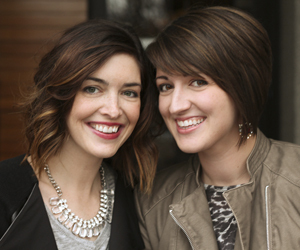 Over the next few weeks I’ll share how we put together a complete birthday party and stayed on a budget, too! 1. 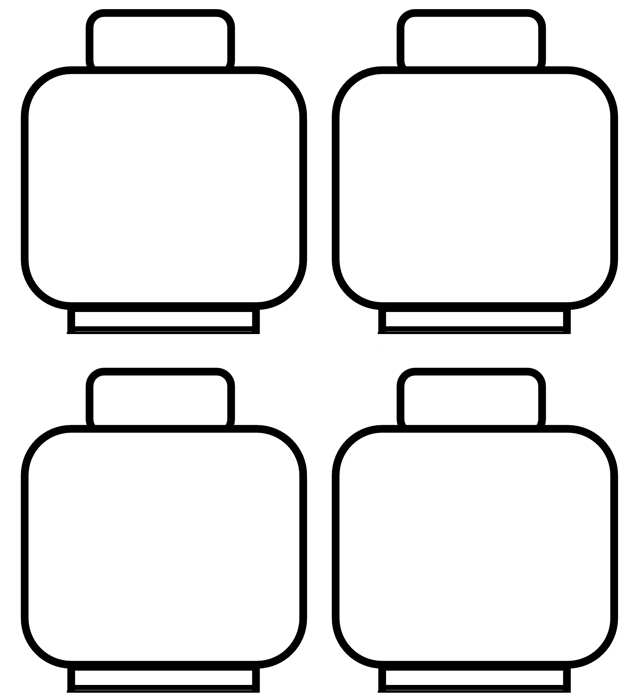 Print the sheet of Lego Heads (there are 4 per sheet, you’ll need one per partygoer.) You can print at home or at a print shop, but either way it was super easy to print on sheets of yellow cardstock. 2. Next, cut out all the Lego heads. I put these out with washable markers for party guests to work on as they arrived. 3. 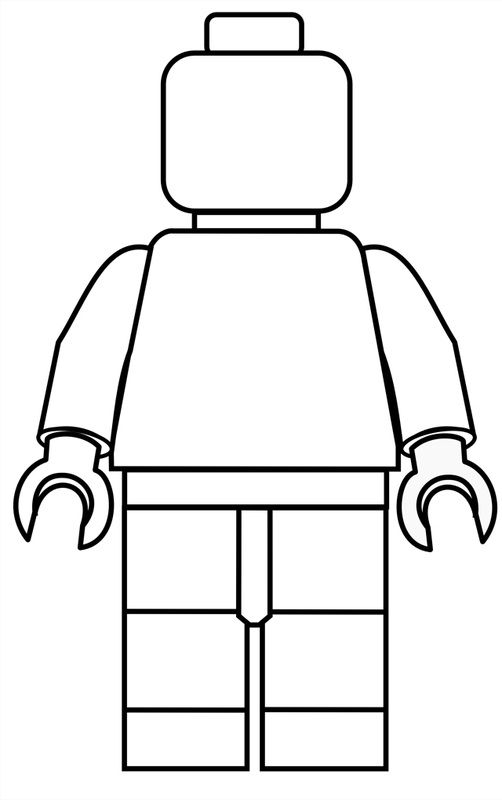 To make the poster part of the game, all you need to do is print the lego man outline (download below) as a 11×17 size. Your local print shop or copy center should be able to do this for under $0.25! 4. 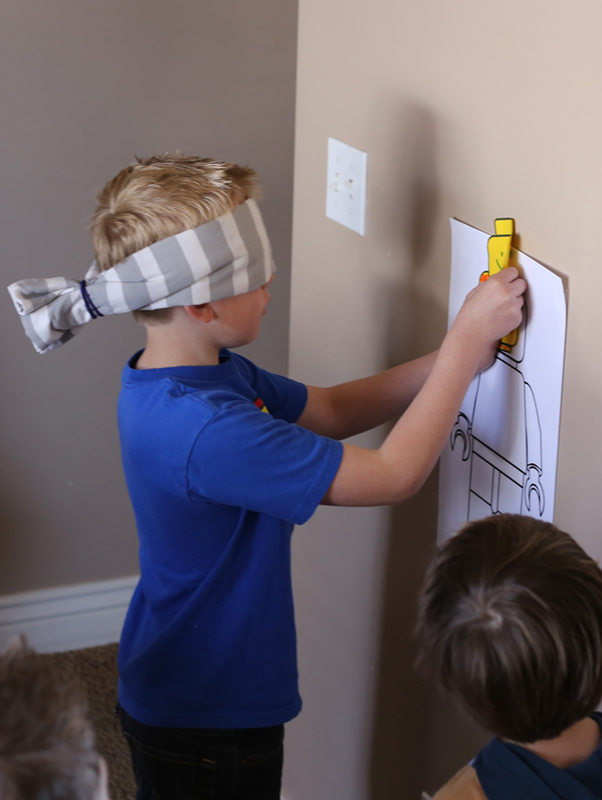 Now just hang the poster on the wall, grab a blindfold and you’re ready to play! The yellow heads are perfectly sized to match the poster. You could also have the birthday boy/girl decorate the poster before the party. When playing games like this, I like to make sure I have the tape ready to go on the back of each piece. Put all the little tape rolls on the outside of a plastic bag and you won’t be hurrying to get that ready when the kids are ready to play! 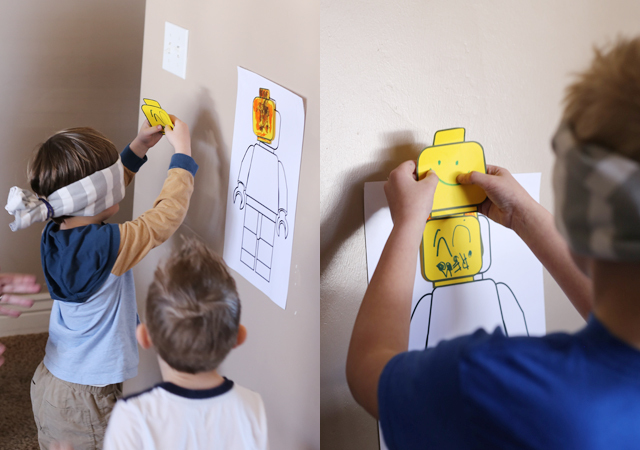 Stay tuned for more fun and budget-friendly Lego Party Ideas! Oh my goodness my son would love this! He had a Lego movie party last year. Boys love their Legos! Hi there: I know this is an old post but I was wondering if you still have it available for download please? My kids want to play this pin the lego man’s head at their birthday party..
Hi Nat, where can i get the link to the legoman outline and lego head? Hi! I’m so sorry the links weren’t working. They are fixed now! Hello – I am having trouble with the printable but downloads. The links don’t seem to be live – nothing happens when I click on them. May be user error! Definitely not user error! Blogger error! They should be working now! Hi, I am trying to download the lego man PDF, is that still available? The links have been fixed! So sorry! The PDF links are working now! Thank you! Hey, Nat! 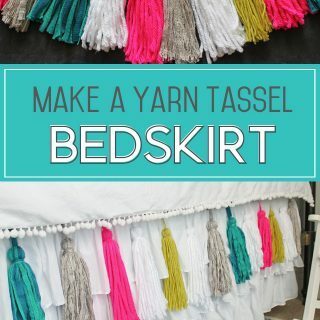 I love this idea, but I’m having trouble downloading the body outline. It keeps linking to a photo of the kids playing the game. Any chance you could update the link or share via email? 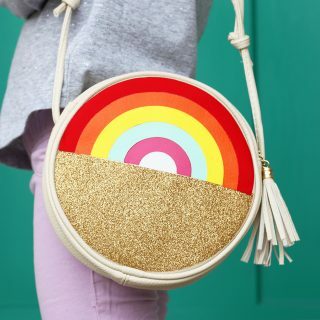 I’m so sorry the link wasn’t working! It is updated now. Thanks and enjoy!